The Manhattan 3-in-1 USB Charging Cable is a smart connectivity solution that offers all the common connections you need to charge and sync nearly any current portable electronic device. Featuring a high-quality upstream USB-A connector as well as robust, downstream micro-B, type-C and certified Apple® Lightning connectors, this adaptable cable solves the problem of having to keep multiple cable types on hand in order to keep your tech up and running. 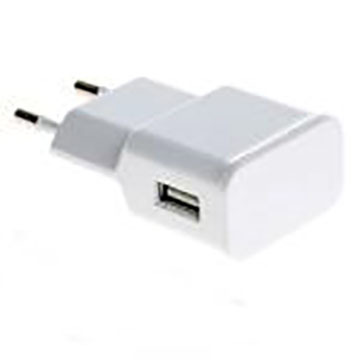 With nestable connections from the primary micro-B to either USB-C or Lightning plugs, any mobile phone, digital camera, portable gaming system or other mobile devices will be perfectly adapted to your current power or data sources. 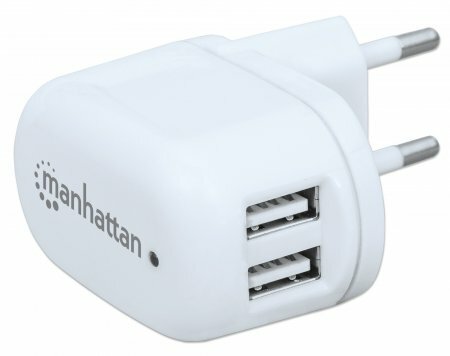 Ideal for travel and mobile purposes or as a replacement cable, the Manhattan 3-in-1 USB Charging Cable is the perfect companion to any USB-A-compatible computer and wall or car charger, so your device stays powered up and ready to go when you are. 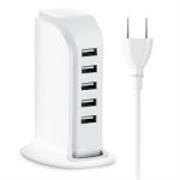 Keep Your Portable Devices Fully Powered. 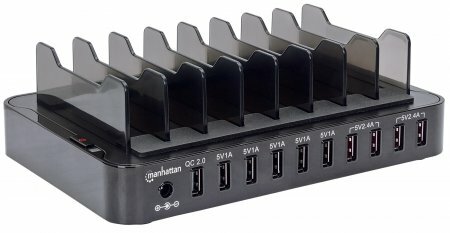 USB portable electronics place heavy demands on their batteries for power, but the Manhattan PopCharge Home can help keep your tablets, mobile phones, digital cameras and other devices charged and ready to go. The PopCharge Home plugs into any Europlug-style wall outlet and offers rapid charging for your portable devices via two USB charging ports (1 amp per port when two devices are charging; 2.1 amps when one device is charging). Advanced built-in circuitry helps avoid overcharging and short-circuiting that can damage and reduce the life of batteries and devices. Plus, a bright LED tells you when your device is fully charged and ready to use. 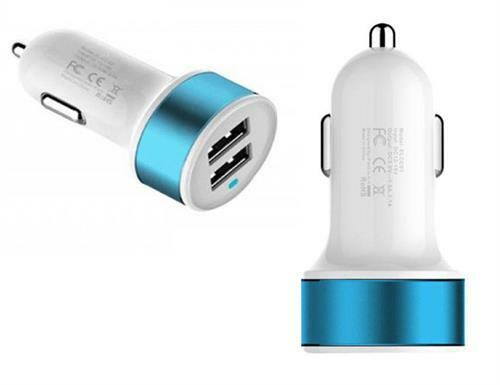 Geeko Smart Dual USB Car Adapter Charger, OEM, No Warranty. • Short-circuit protection, Over-current protection, Over-voltage protection. • Efficiency: more than 95%.